Move a friendly creature and give this card to your opponent. 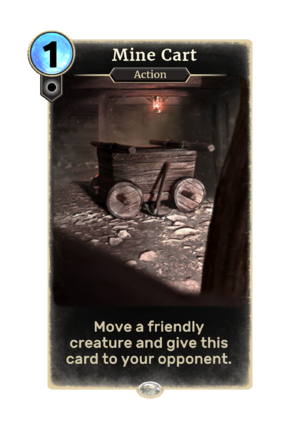 Mine Cart is a common Neutral action card. It cannot be obtained as part of your collection, but instead appears in NPC matches such as the Abandoned Mine battle in The Fall of the Dark Brotherhood.